CEP works on ‘Mentoring + Coaching’ Model. First part of the session would focus on Mentoring of the Founders (Participants) by SKC Mentors. Mentoring introduces the participants to complete new dimensions and ideas on understanding self, envisioning about their business, leadership, managing self, understanding people through making them more conscious. 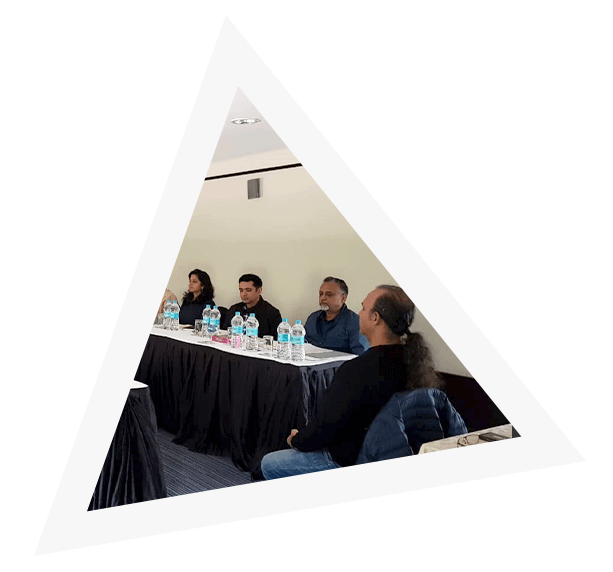 These sessions would build a firm foundation for the participants to implement tools to bring desired results in their personal lives and organizations. Second part of the session would be led by SKC Coaches, who specialize in areas of finance, sales, process and people. Coaches would guide and assist the participants in developing a complete handbook which is required to run and scale up their organisations. Deeper understanding of transactional concepts are shared and hand-holding is given to each participant to ensure that required formats and tools are created to suit specific needs. The above structure brings harmony in the intrinsic desires of the Founders, their values and intent with the structure, culture and desired results in their organisations. Post the program handholding for continuous implementation will be provided by SKC coaches for a period of three months. Registrations open for March 2019.